If you find yourself asking, “why is my skin so sensitive?” you should know that sensitive skin can describe a lot of different things. It can mean you're prone to oily skin and thus want to avoid pore-clogging ingredients. It can mean you want to avoid harsh ingredients that affect your skin's delicate acid mantle. And for a lot of people with sensitive skin, it means you want to avoid scent. If you have sensitive skin, theres a good chance you probably know what ingredients trigger your outbreaks. But do you know which ingredients to seek out? Just because you have sensitive skin doesn't mean you have to miss out on rejuvenating products. Ditch the chemical skin care and the essential oils, and look for these gentle ingredients in your skin care instead. 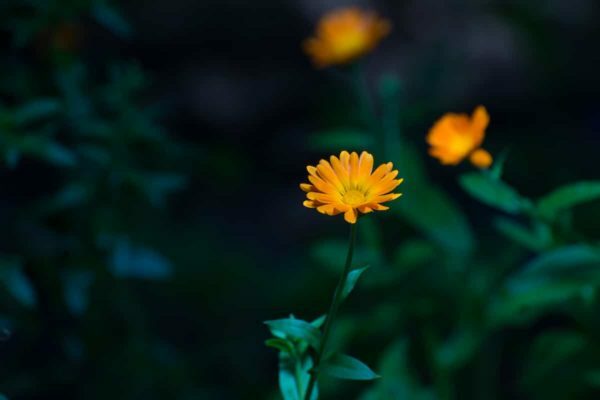 Take a look at a calendula flower and it shouldn’t surprise you that it’s high in carotenoids, the compound that gives plants their bright orange color. Carotenoids do more than that, though. They also protect against environmental stressors that can take a toll on your skin. So carotenoid-rich plants like calendula are great ingredients in anti-aging skin care. The word lavender comes from the latin root ‘lavare,’ which means ‘to wash.’ Today, people may know it by its iconic scent without even realizing the myriad of benefits it provides, both to our skin and to our psyche. 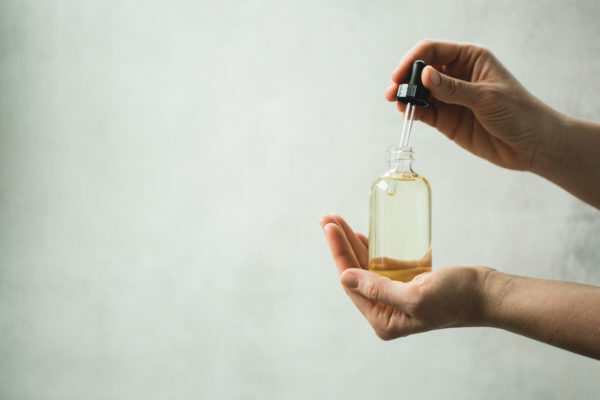 Of course, synthetically scented products don’t hold the same benefits as the truly herb infused, so you want to make sure that the lavender you smell is coming from the plant, not a chemical. Besides being purifying, lavender also helps the skin by protecting and cleansing. Oils differ in their composition and thus bring different benefits to the skin. Of course, not all are created equal. Here are some oils that are unique in that they help with sensitive skin while offering other potent, anti-aging properties. Exceptionally high in omega-3s, sacha inchi oil is said to help protect from environmental stressors, a factor that can cause it to age prematurely. We won’t say too much more about it here because we already talked your ear off about how amazing sacha inchi is here. High in antioxidants and omega-3s, perilla oil provides similar benefits as sacha inchi oil, helping to reduce appearance of large pores while delivering a beautifying dose of antioxidants to the skin. It's also moisturizing. Pomegranates recently got a lot of attention for their value as a health food, with pomegranate juice quickly earning more shelving space in the grocery store. As far as our skin is concerned, it’s the seeds that contain the magic. Pomegranate oil, from the seeds, can help give skin a more youthful appearance. We included all of these ingredients in our Herbal Facial Oil for Sensitive Skin. 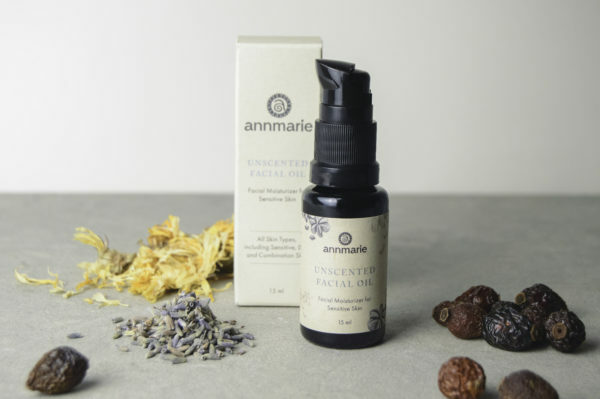 When we created this oil, we wanted to make a product that, beyond lacking essential oils, can give a soothing feeling to sensitive skin types and deliver potent antioxidants that keep your skin looking radiant. We crafted this using all the ingredients listed above, and an intentionally-created moisturizing base. For some people, the switch to using oil instead of lotion as a moisturizer can be a little scary. The trick is knowing which oil is best for your skin type. For the Herbal Facial Oil for Sensitive Skin, we used the same base as we do in our facial oils designed for oily and combination skin: grapeseed oil. This oil is great for moisturizing without clogging pores. In fact, one study showed that topically applied linoleic acid, a type of fatty acid that grapeseed oil has a lot of, can actually help reduce the appearance of the size of your pores. You can read more about grapeseed oil here. A lot of people these days favor coconut oil, and we’re big fans as well. When we include coconut oil in our facial oil formulas, we use fractionated. Fractionated coconut oil is made by removing the long-chain fatty acids via hydrolysis and steam distillation. Without these larger fatty acids, your skin absorbs the oil more easily, and it also stays liquid at room temperature, helping you get it out of the bottle and onto your face. 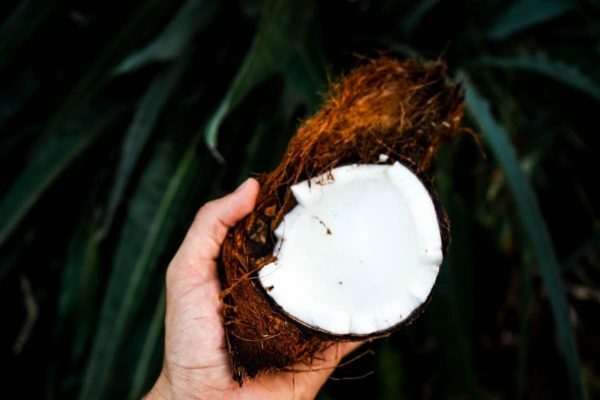 You can read more about the difference between extra virgin and fractionated coconut oil here. Together, the grapeseed and coconut oil provide a base that moisturizes your skin thoroughly without clogging your pores. It absorbs quickly, leaving behind nothing but a subtle glow. We’ve talked a bit about omega fatty acids in this article (and even more in this one), but one we haven’t talked about is omega-5. Pomegranate seed oil contains a unique omega-5 fatty acid called ‘punicic acid,’ which has been shown to have strong properties. You can find all of these ingredients and more in the Herbal Facial Oil for Sensitive Skin. What ingredients have you noticed work well for your skin sensitivities? Too bad I’m in Nigeria. Is there anyway I can get your product here? My skin is supersensitive and highly acne prone. Tried everything! Hi Grace! Our Purify Sample Kit would be a great way for you to try out our two best products for blemish prone skin. The Sample Kits ship for free worldwide!